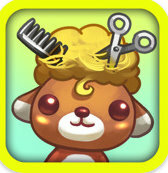 The latest hit from Dream Cortex for the iPhone is Pretty Pet Salon! Get ready to run a Pretty Pet Salon! This cute and engaging game lets you be a pet salon owner and earn money in your shop. Get prepared to serve two celebrity guests! They will visit your pet salon with surprises. This cute and exciting mini-game is sure to be hours of fun! Version 1.1 was released yesterday and we’re thrilled to see that people love it as much as we do. Right now it’s the Number 1 Kids Game in the Hong Kong iTunes store, as well as the highest grossing kids game there. In the US, it’s currently the Number 5 kids game and also one of the top 100 downloaded apps. It’s also in the top 5 in Singapore, Malaysia, Taiwan …. the list goes on! 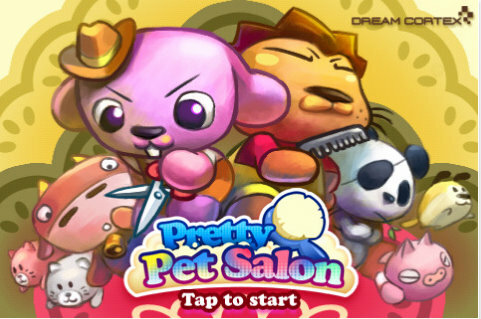 Pretty Pet Salon is a free download for iPhone and iPod Touch and is compatible with the iPad, so why not download it for yourself or your kids and try it right now?